Ubiquitous, mobile and wearable networks unified on the internet are rapidly promoted and introduced into our daily living sphere. That means people, unfamiliar to information technology and human computer interaction issue, are becoming a large part of the users of the unified information environment. Thus we need a new concept of information environment design which does not force a person to have and use any computer skills. Such an information environment would provide modest and human friendly manner for users including elderly people. This paper introduces a concept of Kansei modeling from the aspects of users’ needs in information service. 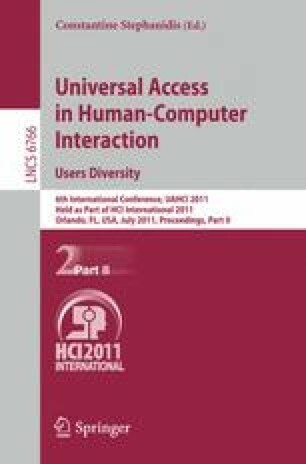 To show its attractive facilities, this paper describes the state of the art of our studies on personal information assistance service in a smart space, such as ubiquitous and wearable environment with robotic information processing mechanism.